4 Bedroom Detached House For Sale in Downham Market for Asking Price £275,000. 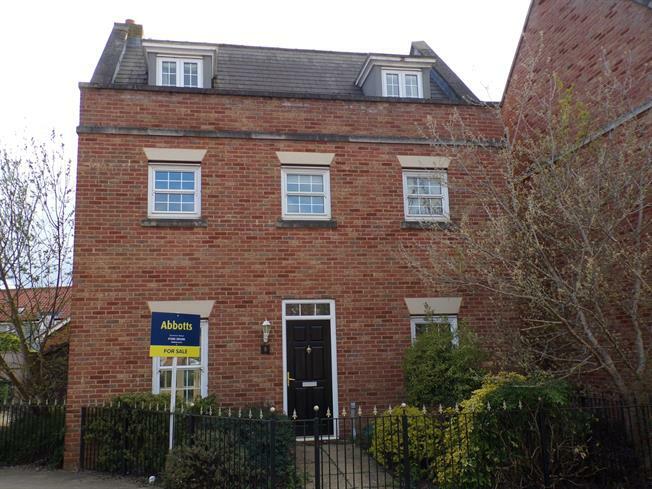 Attractive detached town house, set in a small cluster of similar sized properties. The property offers substantial spacious accommodation with a sitting room, kitchen/breakfast with open plan conservatory, and cloakroom to the ground floor. Whilst the first floor offers three bedrooms with en-suites to each and dressing room to the second bedroom. Furthermore there is a master suite on the second floor, with en-suite and walk in wardrobe. Externally there is a driveway leading to detached garage and enclosed rear garden. Tiled floor. Stairs to first floor and radiator. Window to front. Fitted with a two piece suite comprising of low level toilet and wash hand basin. Storage cupboard and radiator. French doors and window to rear. Wood flooring. Gas fire with marble hearth. Storage cupboard and two radiators. Window to front and French doors to rear with windows to each side. Fitted with a range of wall and base units with range cooker and worktop over, incorporating a one and half sink and drainer unit. Built in dishwasher and washing machine. Recessed ;lighting. Gas fired central heating boiler and radiator. Door to second floor. Double doors to airing cupboard. Window to rear. 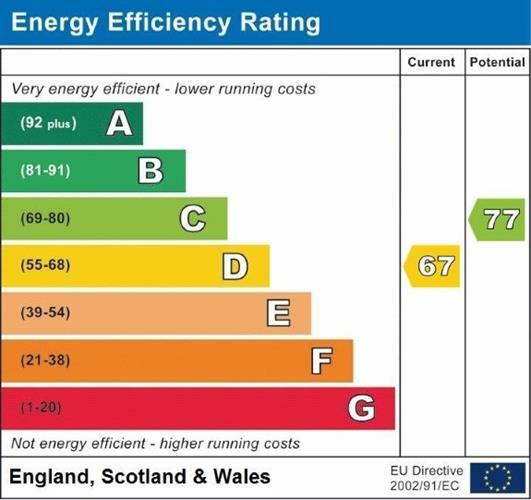 Range of wardrobes and radiator. Fitted with a three piece suite comprising of panelled bath, low level toilet and wash hand basin. Tiled walls and floor. Radiator. Window to front. Range of wardrobes and radiator. Fitted with a three piece suite comprising of shower cubicle, low level toilet and wash hand basin. Radiator. Fitted with a three piece suite comprising of shower cubicle, low level toilet and wash hand basin. Tiled walls and floor. Radiator. Two dormer windows to front. Range of wardrobes and walk in wardrobe. Access to loft space. Two radiators. Fitted with a three piece suite comprising of shower cubicle, low level toilet and wash hand basin. Tiled walls and floor. Heated towel rail. To the front of the property there are wrought iron railings with an area of flowering shrubs and borders. To the side is a driveway leading to a detached garage. The rear garden is laid to lawn with a paved patio and range of flowering shrubs and borders.